When we think about nutrition, we often overlook the value of snacks as nourishment! A few healthy snacks a day can contribute a lot of benefits to your overall wellness. 🍅 Salsa is a great snack because it is full of tomatoes and veggies. Our salsa is also enriched with the possible healing benefits of CBD, which may also help to reduce your stress and leave you feeling relaxed throughout the day. 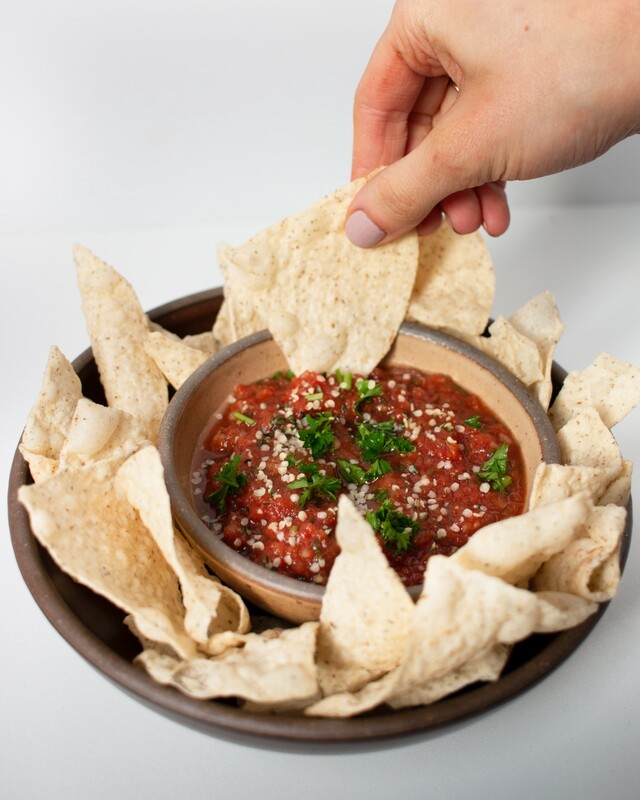 We particularly love enjoying our salsa with @sietefoods Grain Free Sea Salt Tortilla Chips, which have the perfect complimentary crunch! Place the fresh tomatoes, onion, garlic, peppers, cilantro, lime juice, cumin, sugar, salt, and CBD Coconut Oil in a food processor. Pulse until the mixture becomes well blended (pulse less for a chunkier salsa, or more for a smooth salsa). Pour in the crushed tomatoes and green chiles. Purée until mostly smooth. Refrigerate until ready to serve. Grab some Siete chips, and dip in!